Founder and President, Synergistics Ltd. The Chinese auto market has passed a key inflection point, downshifting to a more sustainable growth pattern in-line with GDP. Competition is intense among the foreign and domestic vehicle OEMs as they adjust to the slower environment and attempt to stay profitable. While structural challenges will likely result in negative pricing and margin pressures, certain segments will continue to drive profitability, including luxury cars and SUVs. It remains to be seen if automakers and their partners can understand and anticipate these developments and implement strategies to diversify revenue streams. Bill Russo is President of Synergistics, Ltd, a consulting firm to the auto market and he has more than 25 years of experience in the industry. Prior to Synergistics he was VP of Chrysler Northeast Asia, where he successfully negotiated and secured government approval for six vehicle programs with three different Asian partners. In this time period, he launched a regional holding company as well as two distribution companies and oversaw the industrialization of the first Chrysler and Dodge-branded vehicles in Asia. He holds a U.S. patent for his innovative efforts towards reducing automotive new product development cycle time and is a published author and opinion leader whose viewpoints have appeared throughout several media outlets. Major focuses of the SAE 2013 New Energy Vehicle Forum, Nov. 12-13, in Shanghai, China, are the partnership/collaborative and financial opportunities available in China for companies with near-commercialization technologies, components and systems for electrified vehicles. North American and European vehicle sales are projected to remain relatively stagnant - constraining commercialization opportunities for many new and potential entrants into the EV/PHEV/HEV supply chain. Chinas market, however, continues as the worlds automotive growth market. And Chinas commitment to new energy vehicles, CleanTech and CO2 reduction, along with its need to develop indigenous engineering and technology capabilities, has resulted in a new round of strengthened government incentives to support and encourage opportunities for advanced/alternative powertrain suppliers through cross-border partnerships and collaboration. The Forum is designed in part for new entrants into the electrified vehicle supplier base as well as companies interested in finding low cost alternatives for commercializing innovative EV technologies in China. The Forums plenary session, Strategic Approaches to NEV (New Energy Vehicle) and Advanced/Alternative Powertrain Development features an in-depth discussion of Chinas Energy Saving and New Energy Vehicle Automotive Industry Plan 2012 2020 which outlines the governments incentives; the current status and needs of Chinas domestic electrified vehicle technology suppliers; and a contrasting examination of technology development and deployment in the U.S. and other regions. A featured speaker in the plenary is Bill Russo, President and CEO, Synergistics and Senior Advisor, Booz & Company who will present The Circuitous Path to Electrification of Chinas Automotive Industry. Following the plenary are two independent presentation tracks. The technology track, Overcoming Technical Barriers to EV Adoption addresses topics in EV/NEV Charging and Infrastructure; energy management approaches to powertrain integration; and optimal EV/NEV battery operation, control and testing. The business development track, Developing Chinas NEV Supplier Base: Cross-Border Partnership and Collaborative Opportunities addresses successful partnership and collaborative approaches for building Chinas NEV supplier base; finance/equity and investment sources and mechanisms; and services to facilitate cross-border partnerships. In the business development track, key legal and regulatory advice will be provided by China-based law firms involved in guiding numerous public and private equity, cross-border, arrangements in China. Omario S. Kanji, Partner, Price Cao PRC Lawyers will present Risks and Rewards: Balancing Technology Transfer and Market Access and Edward Lehman of Lehman, Lee & Xu, China Lawyers will present Successful Approaches to Negotiation and Proper Handling of IP, Patents and Trade Secrets. In addition, case studies of successful public/private equity joint ventures and technical cooperation agreements will be examined. For additional information regarding registration for the Forum, please visit: http://www.sae.org/events/nev/. SAE International is a global association committed to being the ultimate knowledge source for the engineering profession. By uniting over 138,000 engineers and technical experts, we drive knowledge and expertise across a broad spectrum of industries. We act on two priorities: encouraging a lifetime of learning for mobility engineering professionals and setting the standards for industry engineering. We strive for a better world through the work of our philanthropic SAE Foundation, including programs like A World in Motion® and the Collegiate Design Series. Although growth rates may be cooling down, the country still is the most important global market for most luxury auto makers and will remain so for the foreseeable future. 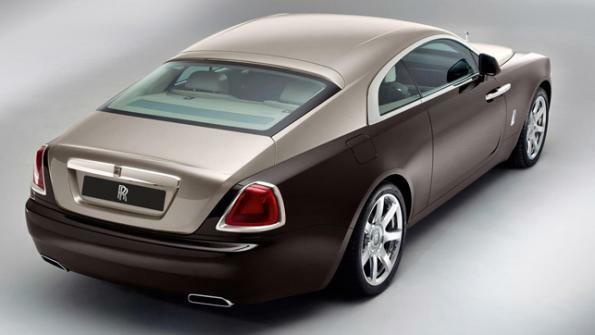 Rolls-Royce expands China range with Wraith coupe. CHONGQING, China – China’s economy is slowing and the Communist Party is urging restraint on conspicuous consumption. But predictions of a big hit on luxury-car sales don’t seem to be coming true. “We are delighted to see a healthy, sustainable growth in China and we are confident it will continue in the future,” says Colin Yang, senior manager-Rolls-Royce China. That confidence may be justified. Demand for luxury vehicles is expected to continue to rise along with incomes in China. Although growth rates may slow, the country still is the most important global market for most luxury auto makers, and will remain so for the foreseeable future. “Whatever short-term adjustments the market may face, there is plenty more growth to come for luxury cars in the long term,” says Bill Russo, president of consultancy Synergistics and former vice president of Chrysler Northeast Asia. Rolls-Royce doesn’t release detailed sales figures, saying only that it is not a volume manufacturer. But the auto maker does disclose China accounted for about 25% of the 3,575 luxury cars it delivered in 2012. The China Daily reports Rolls-Royce China sales rose 40% in 2012. Some ultra-luxury brands forecast lackluster growth in China this year. Lamborghini expected 2013 sales to be about the same as 2012, when it delivered 234 of its sleek high-performance cars in the country. Ferrari and Porsche also expected 2013 volumes to remain roughly at 2012 levels, but there are signs that indicate otherwise. Porsche sales, for example, rose 20% in the first six months of 2013 to 18,323 units. Imported ultra-luxury models such as Rolls and Lamborghini are a tiny segment of China’s overall high-end market. Audi, BMW and Mercedes-Benz, all of which produce locally as well as import some of their most-expensive models, account for 75% of luxury demand. Sales have slowed at all three, but only relatively. BMW’s China deliveries in first-half 2013 rose 15% to 182,800 units compared with 29% growth in all of 2012. Audi was up 18% through six months to 228,139 after 30% growth last year. Mercedes slipped 0.5% in the first half after inching up only 1.5% in 2012, then saw a 16% gain in June after a reorganization of its sales unit. The segment was due for a slowdown, says Ashvin Chotai, managing director of U.K.-based Intelligence Automotive Asia. Sales of luxury vehicles in China surged from about 300,000 units in 2009 to nearly 1.2 million in 2012. Nonetheless, Chotai says, high-end models will outperform the Chinese market overall in 2013. He forecasts luxury sales will grow 13% in 2013, compared with only 9% for the car segment as a whole. “In a global context, growth in China's luxury-vehicle market will remain healthy in the medium and long term, but it will not be as spectacular as we saw in the period 2009-2012,” Chotai predicts. Audi’s continued strong performance points to the limited impact of the government’s austerity policy, according to Synergistics' Russo. “Despite Audi’s image as the government’s preferred brand, sales of Audi cars have not been significantly impacted by the government austerity program since government sales are only a tiny proportion of their total,” he notes. China’s economy is forecast to grow about 7.5% in 2013. While most countries would be happy with that number, it is a significant slowdown from recent years. But the moderation of gross domestic product growth hides rising wealth in the country and a growing appetite for luxury goods including cars. A recent report by McKinsey & Co. says the affluent segment of Chinese households who buy premium vehicles is expected to grow at a compound annual rate of 16% between now and 2020. The consultancy predicts luxury-car sales in the country will hit 3 million units by then. China might become the world’s largest premium-car market as early as 2016, says McKinsey. It defines premium as vehicles costing more than RMB1.25 million ($204,000 at current exchange rates). McKinsey says 60% of those surveyed consider buying a car as important as buying an apartment and paying for their children’s education. Auto makers are gearing to meet anticipated demand in China by expanding their product offerings. General Motors has begun building a $1.3 billion, 160,000-unit capacity plant in Shanghai to produce Cadillacs. GM sold 30,000 units of its top-end marque in China in 2012 and aims to sell 100,000 by 2015. The strategy: Introduce one new Cadillac model a year through 2016 and expand the dealer network to 200 by the end of this year, up from 69 in 2011. GM China expects 2013 luxury-segment expansion to be only 4%. “The luxury market is not growing at a level we expected at the start of this year, but we still feel the luxury market is going to continue to grow here in China,” says a spokeswoman for the U.S. auto maker. Rolls-Royce introduced an extended-wheelbase version of its Phantom Series II in China last year, followed this year by the launch of its Wraith coupe. “This year we are confident, with the Phantom Series II and the latest-model Wraith, the brand will attract (a wider range of) customers,” Yang says.